* Integral top diffuser ensures even distribution of water over the top of the sand media bed. 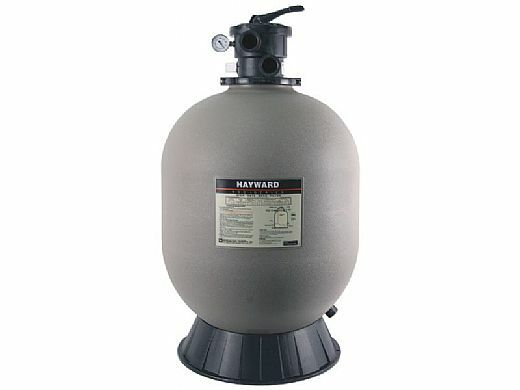 what size filter for 16x32 inground pool 20.000 gallons? water leaking from under valve handle? My sticker on my sand filter has 18" instead of 24" for a salt water, what's the difference and if I need an 18" do you all sale them? BEST ANSWER: The 24" is going to be able to handle a higher capacity. It's a larger filter and would be better for filtering. how much sand does this filter hold? how much sand does this filter use? what size cartridge filter for a poo; 16,000 gallons? 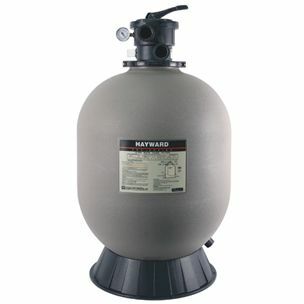 I always use this Hayward model sand filter when my customers are needing a new filter. It works well and has a good price. I used to buy my products from the local distributor, but PSU beats their price and service. Customer for life! How do I register for the warranty with my new Hayward product? For Hayward's warranty registration information, and to submit online, please click here. You can also access more information about Hayward by visiting our manufacturer page. To Buyer, as original purchaser of the Goods, Hayward warrants its products free from defects in materials and workmanship for a period of one year from the date of purchase. Parts which fail or become defective during the warranty period, except as a result of freezing, negligence, improper installation, use or care, shall be repaired or replaced, at our option, within 90 days of the receipt of the defective product, barring unforeseen delays. To obtain warranty, replacements or repair, defective components or parts should be returned, transportation paid, to the place of purchase, or the nearest authorized Hayward service center. No returns may be made directly to the factory without the express written authorization of Hayward Pool Products, Inc.
Pump housing/strainers which become defective during the warranty period, except as a result of freezing, negligence, improper installation, use or care, or as the result of a use in association with an automatic valving system, shall be repaired or replaced, at Hayward's option, without charge. 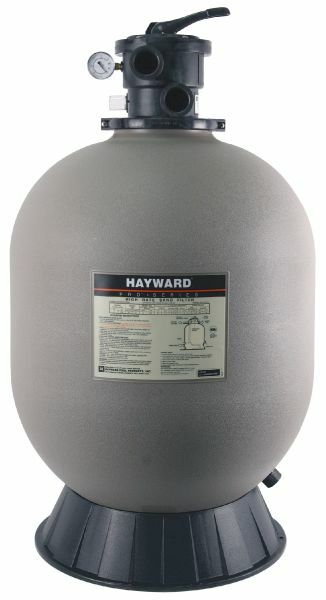 Hayward shall not be responsible for cartage, removal and/or re-installation labor or any other such costs incurred in obtaining warranty replacements. The foregoing warranty does not apply to components manufactured by others. For such products, the warranty established by the respective manufacturer will apply. Below is Hayward’s residential warranty by product line. For additional details, exceptions and warranty terms on labor, see the warranty document for your region. *Excluding seals, covered for manufacturing defects only. *Excluding grids and cartridges, covered for manufacturing defects only. **Excluding hoses, seals, gauges, baskets, and o-rings, covered against manufacturing defects for 30 days from the date of purchase. *Excluding debris bags, sweep hose rollers, flaps, shoes, wings, tires and bottom skirts, covered for manufacturing defects only. **Excluding diaphragm, hammer, disc, and footpad, covered for manufacturing defects only. **Excluding elements, covered for manufacturing defects only. **Covered for manufacturing defects only. *Covered for manufacturing defects only. *Control Box only, all accessories and related replacement parts (including cell) are covered for 1 year parts only. **Remotes, actuators, wireless antennas, temperature sensors, chemistry probes, acid/chlorine dispensers, IO Exp board. ***Includes actuator & temperature sensors, years 4 & 5 pro-rate at 60% of the current (Hayward) list price. White goods, plastic goods, light bulbs, fuses, and wearable items. *Examples: Skimmer components, fittings, valves, baskets, plastic cleaner parts, main drain frames and grates, cartridges, and pump seals. 6 months parts warranty only. Items that either: Require electricity to operate, interface with electrical components or are comprised of more than 50% metal. *Examples: Gas heater and heat pump exchangers, temperature and pressure sensors, VSP drives, pump motors, blowers, fan motors, compressors, robotic cleaner motors and power supplies, circuit boards, flow-switches, UV lamps, and keypads. 1 year parts warranty only.